Types of Liquor Licenses Explained | License Locators, Inc.
California has a bevy of liquor license types available for proprietors of businesses that sell alcoholic beverages. Each license is different and designated for different needs and means. If you have a business established already, or you are going to open your doors soon, and you want to sell alcohol, you will have to purchase the appropriate liquor license. If you are looking to secure a license and are unsure which license best fits your business aims, let License Locators clarify the process from start to finish. Liquor licenses aren’t just handed out; the process of securing an alcohol permit can be long-lasting and expensive. In fact, in California, laws require that each county limits the maximum amount of liquor licenses that can be issued at any one time in the area. Because sale of alcohol permits are limited in each county, there is stringent competition that will usually make the process of obtaining a liquor license incredibly different, and this competition varies based on the type of permit that it is your goal to procure. When in the process of deciding which alcohol license is the right fit for your business purposes, consider that there are five main divisions of liquor license types in California. These licenses include non-profit temporary licenses, temporary licenses, on-sale licenses, non-retail licenses, and off-sale licenses. What’s the Difference between On-Sale and Off-Sale Licenses? The liquor licenses that are deemed to be “on-sale” signify establishments on which alcohol can be bought and then consumed on-site. On the other hand, liquor licenses that are named “off-sale” are designed for the sale of packaged and closed alcoholic containers that are purchased at the business or establishment but are required to be consumed offsite. There are many different kinds of licenses, and some are more expensive than others. Typically, for example, beer and wine licenses are less expensive than general full liquor permits. What are the Most Popular Types of Liquor Licenses? Type 20 License: The Type 20 license is exclusively intended for establishments that offer off-sale beer and wine only. Premises that sell beer and wine with a Type 20 license are prohibited from selling liquor. This is the most typical license of most grocery stores and convenience stores. Notice that most grocery stores and convenience stores will never have a bottle of liquor on their shelves. That is because they obtained a Type 20 license. In addition, a Type 20 license mandates that the alcohol, although bought on the premises, must only be opened and consumed offsite, or else risk getting licensure taken away or worse. These licenses are usually the least expensive of all four options, usually costing no more than a few hundred dollars. 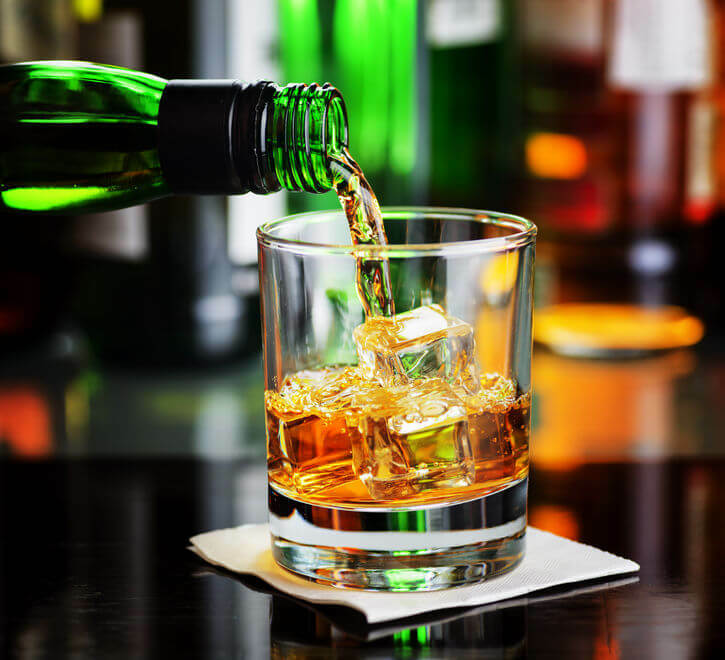 Type 21 License: The Type 21 license is similar in many ways to the Type 20 license, however in addition to beer and wine, someone who is a holder of a Type 21 license is also able to sell liquor items in his or her establishment or business. You will find this license is much more common in liquor stores. This license is similar to a Type 21 alcohol permit, except that it also allows the sale of liquor. This is generally the most popular option for liquor stores, who differ from convenience stores in that they will sell more alcohol and alcohol accessories. These will typically be a more expensive option, and slightly harder to come by at an affordable rate. Type 47 License: The Type 47 license is one of the more expensive options, and for good reason. This is the license that is most commonly bought by restaurant and eateries owners who desire to serve beer and wine with their food. As an On Sale General Full Liquor license, these licenses are a prerequisite by law for any eating establishment that wishes to serve beer and wine. One of the most pertinent stipulations required by the Type 47 license is that all businesses must show proof that 50 percent of their total sales come the food items they offer. In order to prove this, the owner must be able to provide evidence demonstrated through gross receipts from food sales. Because of the popularity of restaurants of all kinds to serve at least beer and wine on their menus, these licenses have the potential to be incredibly difficult to come by. If your business is located in a busy metropolitan area with plenty of competition, you will likely have a more difficult time finding the license you need at the right price. 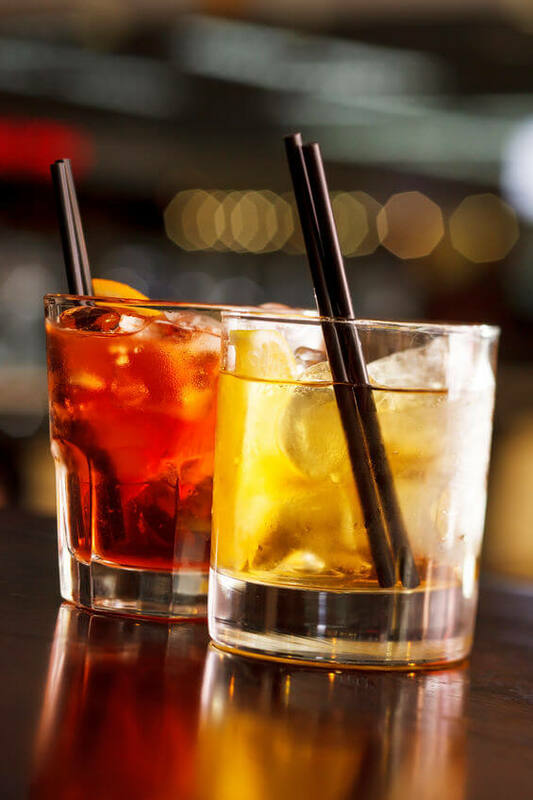 Type 48 License: Of all of the liquor licenses you encounter, the Type 48 liquor license tends to be the most expensive and can be the hardest to come by. The cost of this license is dependent upon many factors, including the location of your establishment, and current market trends. When searching for this particular license, you may easily find yourself paying hundreds of thousands of dollars. The Type 48 license is used by establishments that exclusively sell beer, wine, and liquor to patrons 21 years of age or older. In this type of establishment, the business is not required to serve food. Places that benefit from a Type 48 license include nightclubs, dance bars, or any other establishment that serves alcohol but no food. If you need any assistance with having the different types of liquor licenses explained to your, let our professionals at License Locators shed any necessary light on this complicated and sometimes overwhelming process. We offer our services to you for all of the various types of liquor licenses for various proprietors. Whether you are a manufacturer, restauranteur, or bar owner, you must decide which license is right for your goals and the future goals of your business. This is the first step towards a profitable business that can become even more lucrative should you decide to obtain a liquor license and sell alcohol. The different types of liquor licenses come in a varying array of prices and costs. As you can see, just as the types of liquor licenses differ, so too does the cost of securing them. Whether you need help navigating the process or securing the right deal, License Locators is here to help you make your entrepreneurial dreams come to fruition. When you have decided to jump into the market to find the right liquor license for you, let our experts at License Locators broker the best deal for you and your business, so that you can save more time and more money. We can even help you look for your appropriate liquor license online. Prices for liquor licenses for sale online in California vary according to the liquor license type and the county in which you intend to buy. As a general rule, the most expensive licenses are those that allow proprietors to serve a full array of liquors and spirits, in addition to beer and wine. These can cost as few as a couple hundred dollars or even as high into the thousands or hundreds of thousands of dollars. If you desire to procure a cheaper license for your business establishment, then you will have to look at the other end of the spectrum. If you want to find a cheaper liquor license, keep in mind that licenses that only admit the sale of beer and wine instead of beer, wine, and liquor are much cheaper in comparison. You can reduce your cost by potentially thousands or tens of thousands of dollars. Consult us with any budgetary concerns and we will try to negotiate the best deal for your budget. Securing a liquor license from California’s Department of Alcoholic Beverage Control is a time consuming process. Because the amount of licenses available in each county are restricted, those in densely populated areas with high traffic are going to experience higher prices. If a proprietor is looking for a liquor license in a highly populated county like Los Angeles or San Francisco, he or she will encounter much competition from others who seek the same permit. This inevitably drives prices skyward. We at License Locators helps our clients secure the best deals on the market to ensure they receive the license they need at the best price. When looking for liquor licenses for sale online, it’s vital that you understand the varied types of California liquor licenses available. There are both on-sale and off-sale liquor licenses, and two of the most popular types of alcohol permits sought by restauranteurs and bar owners include Type 47 and Type 48. Those searching for a Type 48 liquor license for sale are looking to serve alcohol in an establishment that allows entry only to patrons older than 21, while a Type 47 liquor license for sale is required to serve alcohol in a bona fide eating place. If you’re unsure which alcohol permit best suits your business, let the experts at License Locators guide you through the process. Whether you need a beer license or want to find an online liquor license from a local pre-existing business, License Locators is here to assist you in any alcohol permit transaction. We work with companies ranging from small family-run business to large corporations, and our professionals are trained to handle the process of acquiring an alcohol license from start to finish. If you plan on opening a restaurant and want to serve beer, wine, or spirits, you’ll need to obtain a license to sell alcohol. This can be an arduous and complicated procedure with various legal twists and turns. Many of those looking to break into the restaurant industry are unsure on how to apply for a liquor license, and for good reason—it can be a complicated process. Zoning permits and determining the type of liquor license required for individual aims are just two of the many hurdles proprietors must navigate before acquiring the alcohol permit needed. Using a trusted brokerage service such as License Locators can streamline the process and have you securing the license you need in as little time as possible. Perhaps your business requires only a wine license, or maybe you’re a restauranteur looking to procure a permit for alcohol that will allow you to serve beer, wine, and liquor in your establishment. Whatever the case, our crew of seasoned professionals have done and seen it all. We can ensure you find the alcohol license you need in the shortest span of time possible. If on the reverse end of the spectrum, you’re looking to sell an alcohol license, License Locators can help you handle the transaction from start to finish, and guide you through the necessary steps of transfers, final sales, and escrow. There is no way around it—obtaining the best liquor license for your business will likely be no easy task. You may already be in the heat of trying to open your business with limited time on your hands. If you want to save time and money, let our professionals help you every step of the way in the process. Reach out to our team of professionals; we would be happy to sit down with you and discuss the goals of your business and create and execute a plan. The experts at License Locators have years of experience and are highly trained to analyze your local market, match your budget, and do all of the tedious work for you so that you can get your permit without a hitch. Getting an ABC liquor license can seem like an insurmountable obstacle to the growth of your business, but it doesn’t have to be. If you need assistance determining what is doable for your business and how to strategize your plan to obtain a liquor license, we at License Locators will help. Save yourself the time and extra money to continue to develop your restaurant, bar, eatery, nightclub, grocery store, convenience store, or gas station, and we will take care of the rest.